Keep up to date on the latest happenings in the worlf of Salon, Spa, Beauty and Tattoo Software. With so many aspect of your business to think about it can be overwhelming when considering hiring new staff. It’s easy to grab the first person that comes along, and in particular with apprentices it’s easy to find one that seems like a nice person, put them on and work through the years with them, shaping them, helping them, getting them to that place where they fit your business. It’s a long road and can bring great joy and great tears. Many times though it will not work out and as an owner you’ll feel a range of emotions from downright angry, to happy that they’re gone and everything in between. Is there a different way to go about it? 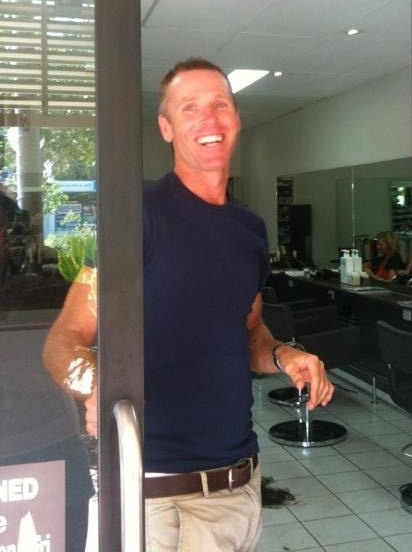 Andrew Davison, owner of renowned Noosa Heads hair salon Davison’s has some thoughts about this and he thinks there is. Andrew has been in hairdressing for 30 years, has had a thriving business for 15 years and is considered by local hairdressers as an enviable place to have a career. Drop the name Andrew Davison to any local hairdresser and you’ll only hear good things. When we ask Andrew what he looks for when hiring his answer may be surprising. If Andrew isn’t looking for someone who can do hair then what is he looking for? I like people that can read people and their body language , that can look people in the eye and be confident with their approach toward people , that can recognise a situation arising and treat it with the appropriate attitude. Andrew’s comments should ring true if you think about it a little. Hairdressing skills can be learned, dedication can be instilled through inspiration and goal setting for example. So too can the traits Andrew is looking for but they take a long time and they should already be in place from parenting and upbringing. Without the personality that Andrew is looking for you’re fighting an uphill battle. Hair is easy… It’s people that are difficult ! if staff are able to deal with people the hair element comes easy. It couldn’t be expressed any simpler yet it’s so true. Next time you’re looking at hiring an apprentice be sure to have a think about the advice Andrew has offered. It can save you a lot of heartache down the road and it will make your and your apprentices work life all the better. Davison’s salon can be found via their facebook page. Click here to head there now.